In a child’s eyes there are no seven wonders of the world. There are seven million of them. Children are special. Leave no stone unturned to celebrate them. If you’re looking for exciting ways to kickstart your little one’s creativity and stimulate constructive learning experiences for your child, you’re exactly at the right place. With a host of immersive books and DIY activities, Scriberr not only promises an intellectual involvement but also undivided parent-child bonding session. In today’s fast paced environment, open up your child to a wholesome, fun-learning upbringing, today. 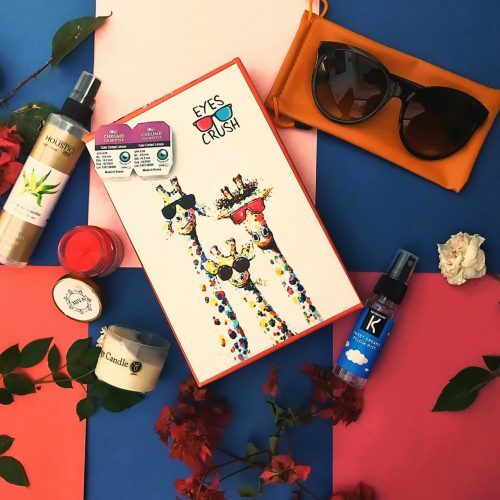 Be the wind beneath your child’s wings and help them curate, create and cultivate new skills with these startling kid’s subscription boxes at Scriberr. What are you waiting for? Delve right in! 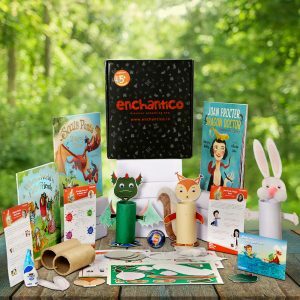 Enchantico– Enchantico brings expert curated books, immersive activities and some delightful collectibles for the kids. With the 4 age groups (age 5-11 yrs) , enthralling D.I.Y activities and activity sheets create an impactful reading experience for the child. Freshest books from best-selling authors, coolest activities, badges, bookmarks, postcards, author cards and so much more! For all things book, book your Enchantico box here ! 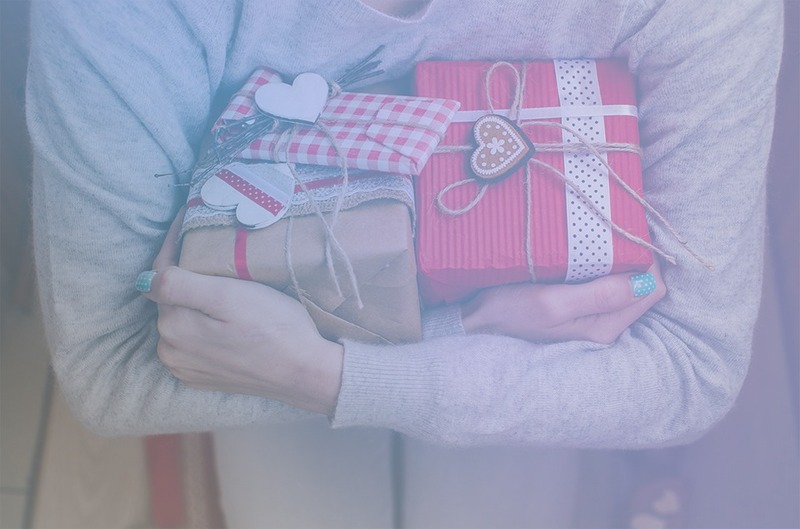 Crabo– Crabo is an expert curated craft subscription box service for children. Suitable for ages 4 years-7 years, each box is loaded with age range-appropriate, 4-5 craft activities for children that promote being creative as a way of life. Each box is designed to Inspire, engage and entertain the growing minds of children. 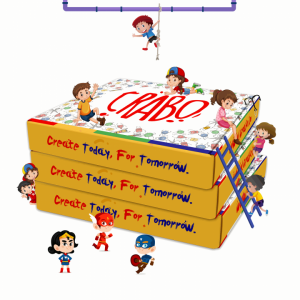 Crabo encourages crafting that enhances creativity, which opens minds to new ideas, and supports empowerment, both intellectual and emotional, for children and parents. 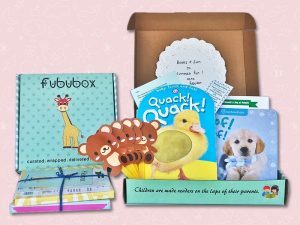 Fubu Box– Fubu Box is a subscription model that curates the most ideal books suited for your kid. Here, choices are driven by your little one’s interests and a panel of esteemed experts. Specifically focusing on the early brain development, stimulating their thinking with every book they read. Fubu Box is here to nourish curious young minds with a delectable mix of books from across the globe. Every meal is cooked with the choicest of words, thoughtful pictures and lots of love. So just check this worry off the incessant to-do list and watch your kids curiosity flourish in this incredible world of books. As we all know, Every child is gifted. They just unwrap their packages at different times. With Scriberr, help your child unlock their true potential- the fun way! Thanks for the great information! I am a 6 months old mom and I was helpless in the beginning. I got a subscription box from Soojin. It was great and I started buying more products from them. I highly recommend their products. If you are a new mom, check those products out!